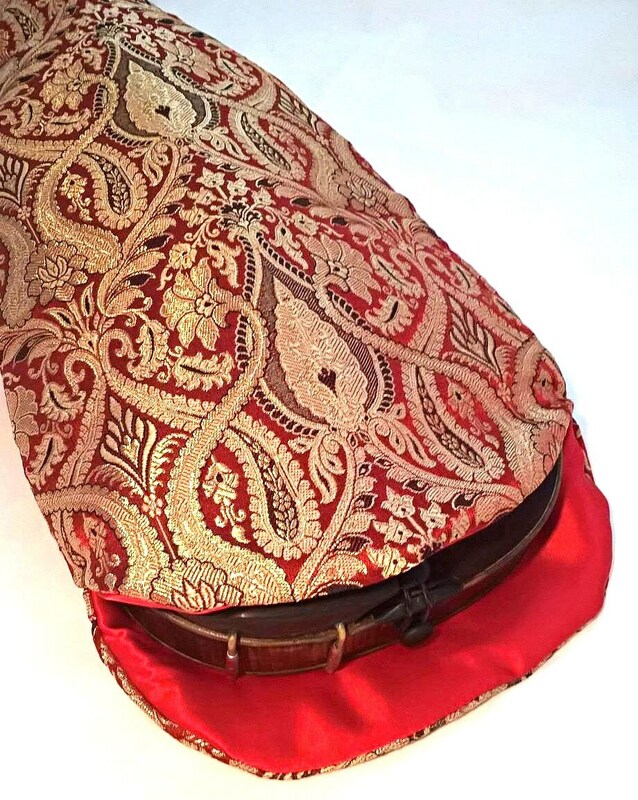 Make sure your violin sleeps well in your case - sleeping bag for your violin in beautiful silk fabrics, handmade by me. Silk gives a sence of luxury and beauty, but not only that - silk is very good to have around your violin since it has a good moisture regain, so it will help protect your violin. The bag is made to fit normal size violin - please contact me before purchase if you have a very high chinrest or anything else unusual about the size. 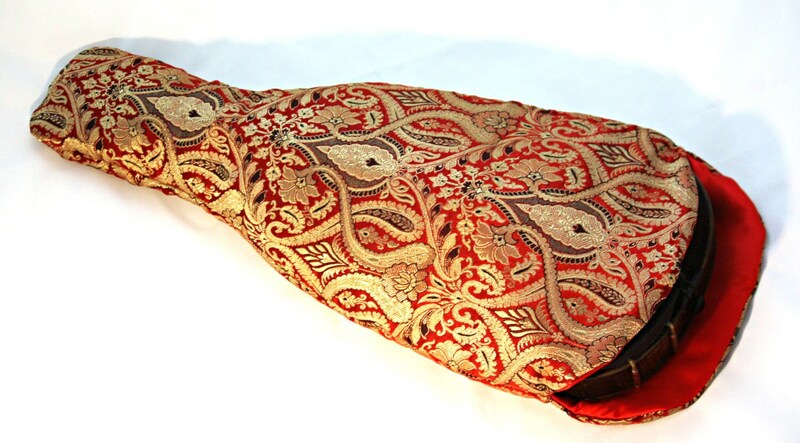 Red and gold silk brocade, lined with red smooth silk, padded around the body of the instrument. 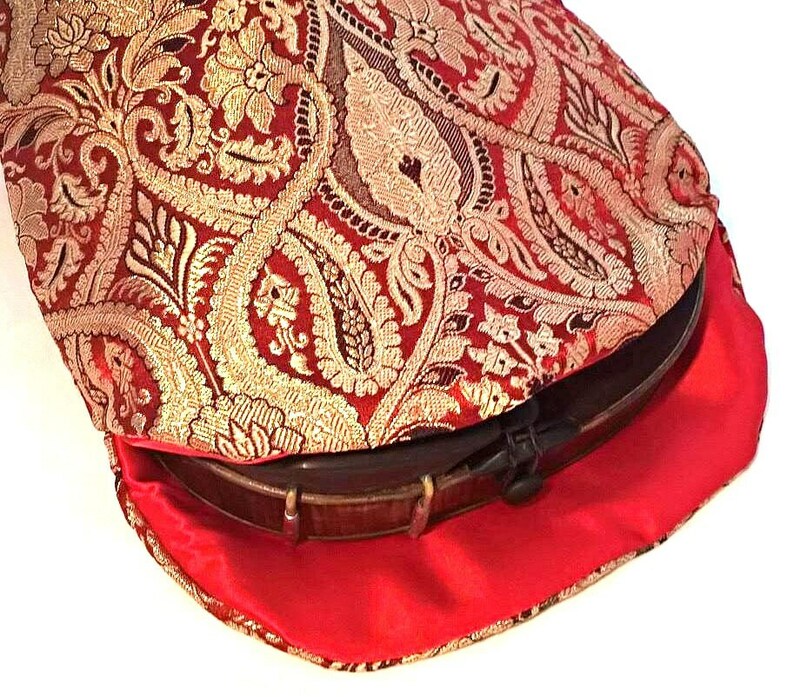 This bag fits in most square cases, but please contact me before purchase if your case has a lot of extra padding under he violin, or if you have a violin shaped case! A treat for your violin - and yourself!